When I first met Luke as high school freshmen, I knew two things about him. 1) He was really quiet. 2) He wanted to be a doctor. Who would have guessed that we would end up together or that we would even see that long-awaited dream come true? Regardless of how we beat the odds...of a long-distance college relationship...of getting into IU Med School...of not filing for divorce after having children which a few of our friends have already experienced...of getting our first residency match choice...the fact is, we have beaten all of them and I have me a real good lookin' doctor man pulling me a Pioneer Woman meat loaf outta the oven that he made all by hisself. That's a good man right thur. Anyway...a lot of people say they are going to do something when they grow up, and then life gets in the way. No one would have faulted Luke if he would have decided to go into a profession that was mildly less difficult, stressful, or debt-sucking. They are always looking for male teachers these days. However, he stuck with it, held on to his goals, and now he can look in the mirror and see an MD staring back. It's pretty cool. Luke graduated last weekend after a nice little build-up of exciting activities. We had his friend Taylor's wedding, who married a fellow med student, Andrea. It's so cool to realize that Luke didn't even know Taylor existed before med school, and then he was actually in his wedding. Taylor and Andrea will be moving soon to Texas, just as a few of our other friends will be moving far away, too (Hey, Amanda!). I'm really bad with goodbyes and refuse to think that we will never see these people again, so I try to avoid acknowledging it all together. 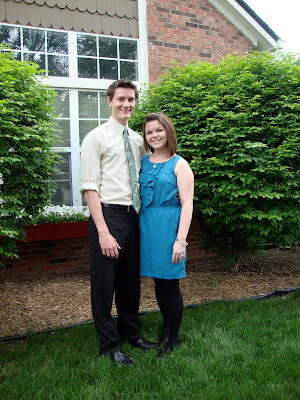 The night before the graduation, we had a senior awards banquet to attend at the Indiana Roof Ballroom. It was really pretty and we felt privileged to get to attend a function there. It was good food and some nice speeches to listen to. I just couldn't stop thinking about how proud I was of Luke the entire evening, and how he deserved to enjoy every bit of this entire experience. The ceremony the next day was at the Indiana Convention Center downtown. I was mildly disappointed in the venue. For the money that these men and women have paid, you would think you could have the ceremony in a little more charming of a venue instead of a huge ballroom that seats 3,000 people. I was also disappointed that other health degrees such as Masters of Public Health and Health Administration graduated with the med students. First of all, their guests took up a TON of the seats...the place was full 45 minutes prior to the ceremony and we were pretty much in the next to last row. Secondly, it made the ceremony about an hour longer than necessary. 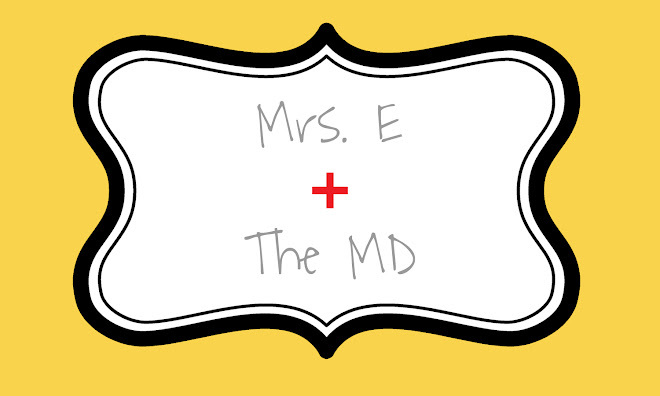 By the time they got around to the lousy old MD degrees, people were a little restless. I know everyone needs their moment, I would have thought that's what the IUPUI graduation was for the next day. Thankfully, they had a videographer who was filming them getting their degrees and hoods, and then that video was projected onto a big screen, so we could at least see him doing his thing. All in all, it was a dignified ceremony, if you forget about the little 4 year old girl sitting in front of us eating an ear of corn. At 10:00 a.m. That's Indiana for you! Afterwards, the family that attended came to lunch with us at Bella Vita at Geist. It was good, and we had a good time relaxing after all the excitement of the day. I still look at Luke and think, "A doctor? Really?" Sometimes, I still feel like we look 15 years old...which I suppose really isn't all that bad. Life was good and simple then. Let's go back to that. Congratulations to my accomplished, wonderful husband who spent 20 years of his life taking classes and preparing for this distinguished degree.